Sargent Art® Modeling Clay is ideal for freehand modeling, claymation, and realistic sculpting. Consistent color in every stick. Mix colors to create new colors. Non-hardening, long-lasting, and reusable. Gluten-free, non-toxic, and conforms to ASTM D 4236. Each pack includes 1 lb of clay in 4 color sticks. 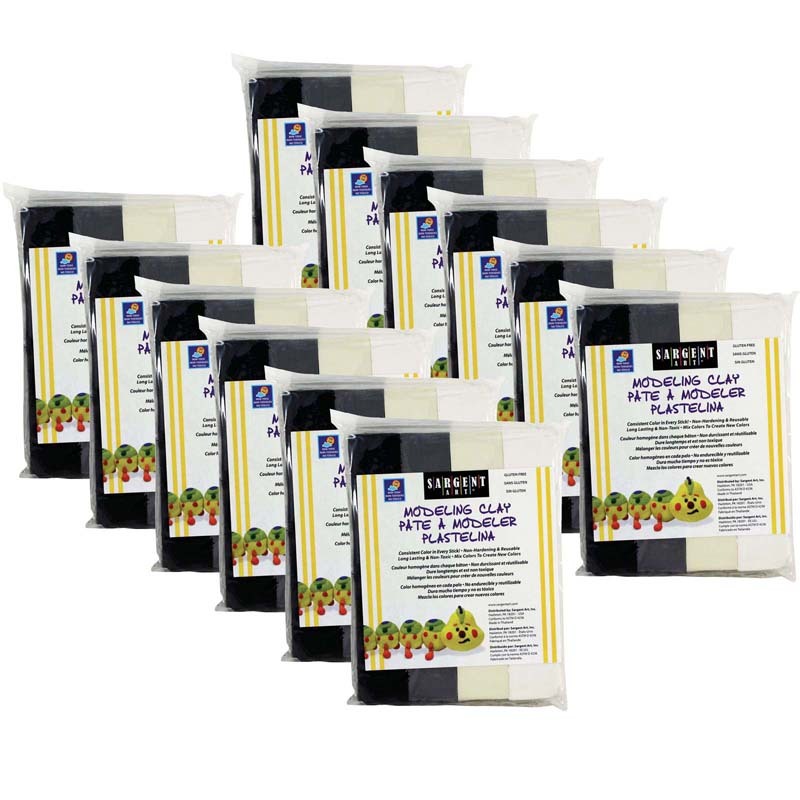 Bundle includes 12 packs for a total of 12lbs of clay. The (12 Ea) Sargent Art Modeling Claynatural Colors can be found in our Clay & Clay Tools product category within the Arts & Crafts. 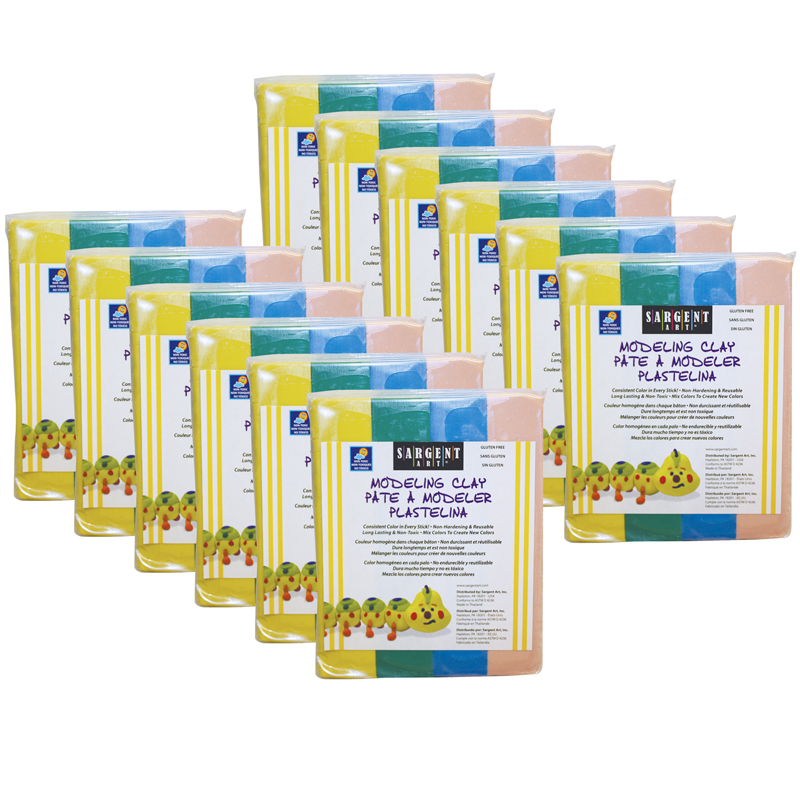 Sargent Art® Non-Hardening Modeling Clay is pliable, non-toxic and reusable. Mineral based. Never hardens or dries out. 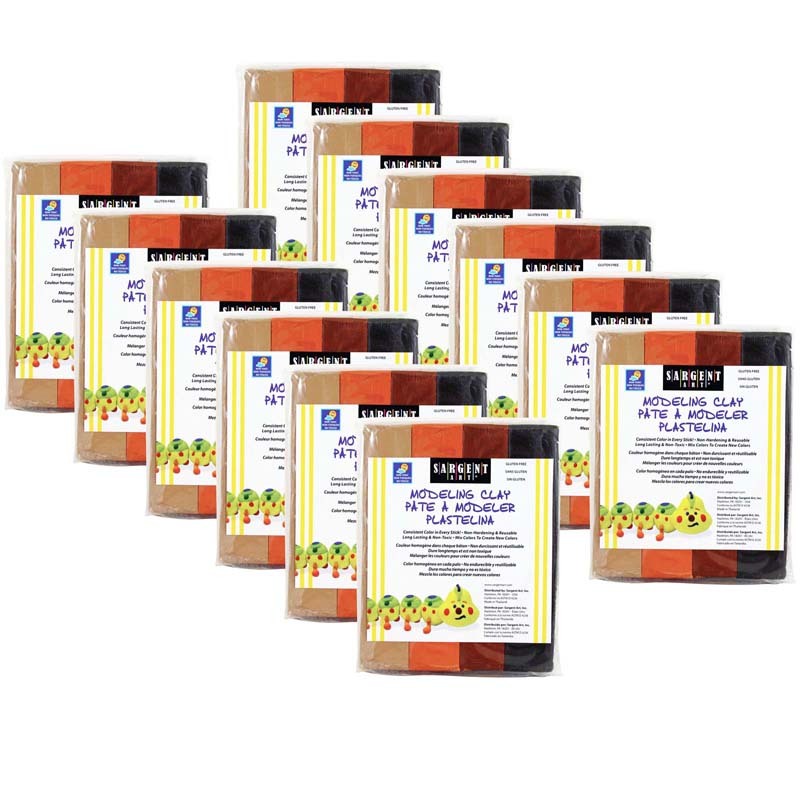 Each Earth Tone Assorted Modeling Clay includes 1 lb. of clay in four colors: chocolate milk, terracotta, light brown and brown. Sold as 12 packs for a total of 12 lbs of clay.